If you are located in Edmond, OK and are searching for Couples Therapy and Marriage Counseling services please contact one of our offices today. We are here to help your relationship. Marriage Solutions has helped thousands of couples rekindle their flames through couples therapy and many of our couples travel from Edmond OK. It is our goal to enrich the lives of our clients and enable them to have healthy and successful relationships so they can reach their full potential as a couple. 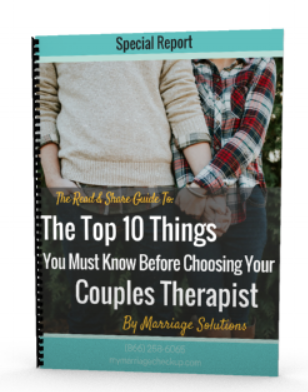 Sometimes couples are hesitant to give couples therapy a try because they think it means their relationship might be over, or that it’s somehow admitting defeat, but this could not be further from the truth. Sometimes couples simply get off track or get out of sync with each other, and you simply need guidance on how to come back to each other in order to have a happy relationship again. Marriage can be hard work and it’s important to understand that it’s very common for couples to hit a rough patch, or go through a period of uncertainty. Marriage Solutions has built its success on helping couples overcome difficult times, achieve their goals, and reach their highest potential. When a couple faces hard times it may be difficult, but it also helps you grow. With couples therapy in Edmond, OK, we can help you on your journey to relationship recovery. Good communication is one of the most important aspects of a healthy relationship. If you do not put time and effort into communicating with your spouse, you will soon see that a wedge is being driven between the two of you. Poor communication can lead to distrusting each other, which creates a distance between you that can be difficult to recover from without help. When you work with Marriage Solutions, we will help you work on communicating better so that you can relate to one another on a deeper emotional level that you likely have never experienced. We will help you build communication skills and bring you and your spouse closer, enabling you to discuss things that are important in a constructive way. No relationship can be successful without open communication so it’s important to seek help if you feel that your relationship is lacking in this department. If you’re in Edmond, OK and looking for marriage counseling, complete the online orientation to learn more about how we can help. Feeling like your spouse is keeping secrets from you can create a lot of anxiety and stress in your life. When one spouse refrains from showing emotions and shuts out the people that care, it can be extremely difficult for their loved ones to understand. Our team is dedicated to helping couples strengthen their relationship by working on building trust between one another, and working through trauma that might be the reason secrets are being kept in a relationship. Marriage Solutions is the premier couples therapy resource in Edmond, OK because we care about our clients' individual needs. We understand that everyone has had different experiences throughout their life and that these can affect their behavior. We will pave the way for healthy communication so you and your spouse can become intimate with one another again and move forward together. Finding helpful marriage counseling in Edmond, OK is just a click away. With locations in Tulsa and OKC we also serve the Moore, Norman, Yukon, North OKC and South OKC areas.